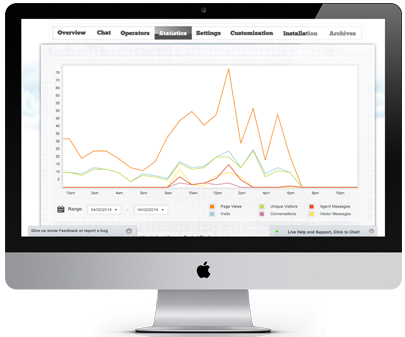 Live support software for small and medium businesses that lets you track your visitors in real-time, engage them to chat providing excellent customer service. HeyBubble is an all-in-one cloud-based software, mobile compatible and integrated with the most usual tools around the web. Check what we do here! Affordable Tool for SMBs and Start-ups. Target, engage, chat with your visitors in real time, and provide the help they need before leaving to competition. Create real relationships with your customers, and give them the opportunity to talk to a real person at the critical steps of your conversion processes. Increase average shopping cart amount, and minimize checkout abandonment! Convert Visitors at Critical Steps. See the full path of your visitors on your website and target the ones who really need you, and help them before they leave. With our statistics and reports, you can optimize the way your operators use HeyBubble and see the results on a daily basis. Using Skype, and your Usual IMs. 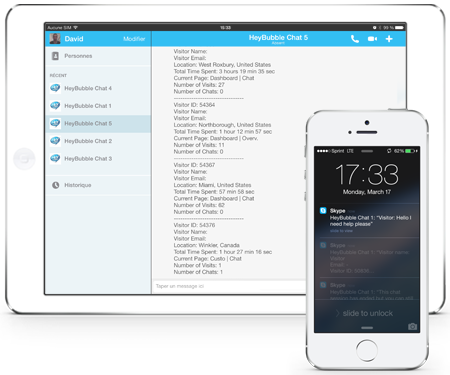 You can use HeyBubble on your preferred instant messaging systems: Skype, iMessage, or any Jabber compatible chat clients. You are on the road? 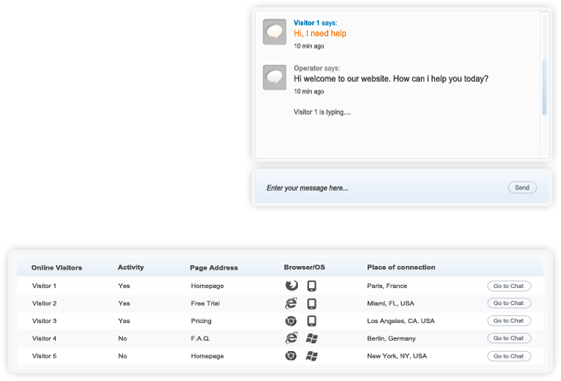 Installing this live chat software on mydreamdorm.com was fast and easy. Since the first day, it has been driving much more engagement from users. Our conversion rate increased by 24% in less then a week. Love this product! Keep building amazing support tools! Great chat software! I am now able to chat and provide live support to my visitors and I have much more conversions.